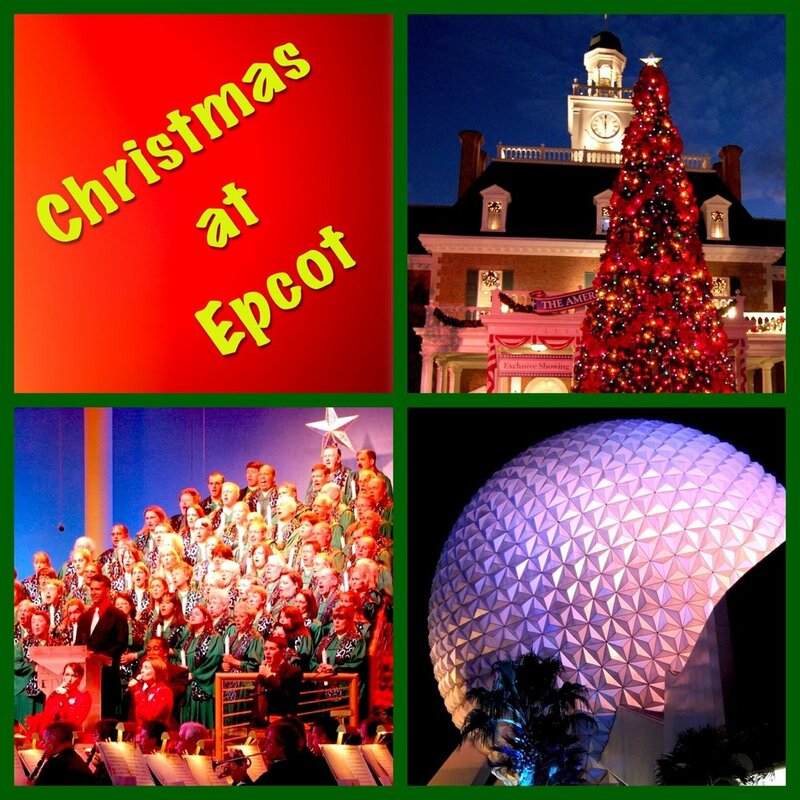 Epcot at Christmas - Tips for a holiday experience that is practically perfect in every way! Any day is a good day to visit a theme park but Christmas day comes with its own set of traditions and nostalgia that must be considered to make sure the day “feels” like Christmas. Many people immediately jump to Magic Kingdom as the perfect Christmas day option but there are other great choices including my favorite park…Epcot! Here’s a confession – despite focusing on Disney and Universal destinations for over 12 years, I’ve never been to any of the parks on Christmas day; my family would disown me! But here is one way I would spend Christmas in the parks, if I could do so without getting a stern talk from my children (where did I go wrong in raising them?!?!) about the “true meaning of Christmas” and the "importance of tradition and family". Christmas has special religious significance for me and that is reflected in this plan. Value resort: Disney’s Pop Century and I would request the “Lady” building in the Lady and the Tramp section because Jim-dear gave Lady to Darling for Christmas! Moderate resort: Disney’s Coronado Springs because the Moravian stars in the lobby remind me of Christmas. Deluxe resort: Disney’s Contemporary Resort because I want to start Christmas day with the church service offered there and then take the monorail to Epcot. My perfect day would start with attending the church service offered on Christmas morning in the Fantasia Ballroom in Disney’s Contemporary Resort. They generally offer a Protestant service and Catholic mass. These services are only offered on Christmas and Easter and I’ve always been curious about how this is done. In my imagination, Donald gives the readings, Goofy does the sermon and Mickey or possibly Ariel leads the singing but it is probably a perfectly straightforward church service led by humans. Epcot will be crowded on Christmas so, other than my FastPass options, rides would not be a big priority – it’s all about food and the live entertainment! Food: My big meal of the day would be to splurge on a Candlelight Processional dining package so that I can skip the lines into the Candlelight Processional, an Epcot Christmas tradition where a celebrity narrator tells the nativity story while accompanied by a large choir and orchestra. You don't need a dining package to experience this but the American Gardens Theater is relatively small and people wait hours to get in and I don't want to spend hours of Christmas is line! I love trying food from different cultures on any other day but Christmas dinner has a lot of tradition attached to it so my choices would be 1) Biergarten in the Germany pavilion, (2) Garden Grill in the Land Pavilion, or (3) Coral Reef in the Seas Pavilion The Rose and Crown in the United Kingdom Pavilion might be worth considering too. I would time my meal so that I could get a voucher for the second Candlelight Processional performance. The rest of the day is going to be spent tasting anything and everything that sounds good to me – probably a light meal at Les Halles Boulangerie-Patisserie in the France pavilion and maybe school bread and Lefse in the Norway pavilion because I have more Norwegian DNA than anything else. Christmas without lefse is a no Christmas at all! (No lutefisk for me however; I’m pretty sure my ancestors immigrated to America to escape lutefisk) Click here to learn more about Candlelight Processional Dining Packages. OK, so a Christmas church service, some rides, lots of good food and the Candlelight Processional already sounds like I pretty full day but, like any kid ripping into their presents, I want MORE! The rest of the day will require the kind of planning and timing that normally goes into an old Mission Impossible episode because I will want to fit as many of the Holiday entertainment offerings as possible around my dining and FastPass reservations – at the very least, there will be an Epcot Times Guide that has sections circled and highlighted. If I go totally crazy, there will be some kind of printed plan. In years past, Future World has offered a 25 minute musical performance called Joyful! A Celebration of the Season at select time during the afternoon. If available, I would definitely want to catch that. JAMMitors, a garbage can percussion group, are another Future World favorite of mine so that’ll definitely be on the list. I love learning about countries and cultures so I’m going to try to experience as many of the World Showcase Holidays Around the World Storytellers as possible – including the Kwanzaa and Hanukkah presentations in the American Adventure pavilion. Honestly, I really want to see them all but don’t think that is possible in such a full day so the Mexico, Norway, China Storytellers will probably be my top priorities. Click here for more information. The grand finale of our Christmas day at Epcot will be the IllumiNations fireworks. As always, we would try to be at the tail end of the crowd as we exit because we enjoy looking at the park after dark before returning to our hotel and collapsing into bed. Does a Christmas day like that sound good to you?